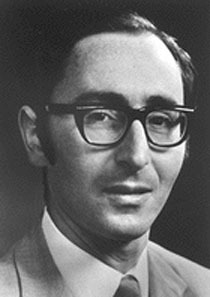 Welsh physicist Brian D. Josephson was still a graduate student in 1962 when he discovered the Josephson effect, explaining how an electrical current can flow between two superconductors (materials with zero electrical resistance) even when an insulator between them would be expected to block the current. This led to development of the Josephson switch, allowing extreme high-speed switching on the molecular level. For his discovery, Josephson was one of three scientists who shared the Nobel Prize for Physics in 1973. Since the late 1970s his work has focused on the brain and paranormal phenomena including telepathy, which he believes may be related to quantum mechanics. He has stated that scientific papers on topics such as cold fusion, Eastern mysticism, and homeopathy are systematically rejected at leading science journals. In a 2007 letter to Physics Journal, he said he had visited three laboratories where the widely-discredited cold fusion experiments of Martin Fleischmann and Stanley Pons have been replicated, but that reports of such successes have been suppressed.